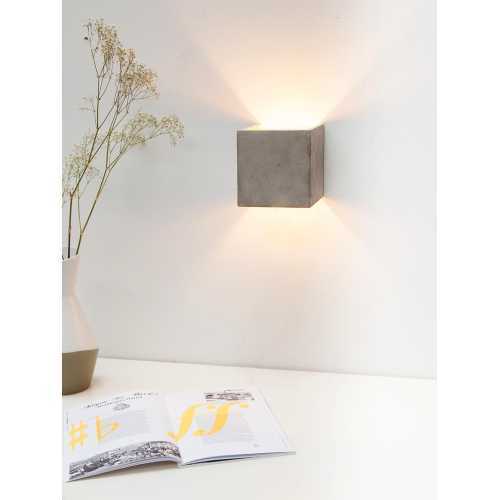 Giving any space in your home a stylish accent and easily coordinated with other pieces from the GANTlights range, the B3 Light Grey Concrete Wall Light is an effective way of adding genuine style to any space. With its entirely original construction that inverts the usual idea of having the most elegant, stylish material on the outside and the rough edges on the inside, the B3 Light Grey Concrete Wall Light features a concrete exterior and glittering gilded interior. 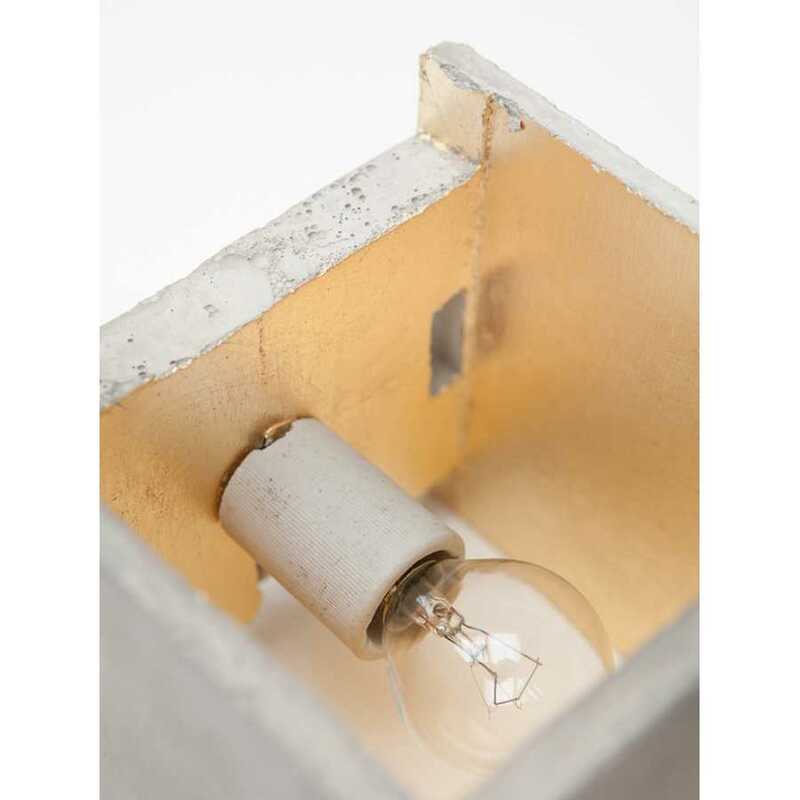 Each B3 Light Grey Concrete Wall Light measures 14cm in height, 14cm in width and 14cm in depth and required 1 x E14 light bulb which is not provided. Each Light is easily affixed to the wall and both the top and bottom are open so the light spreads both upwards and downwards. 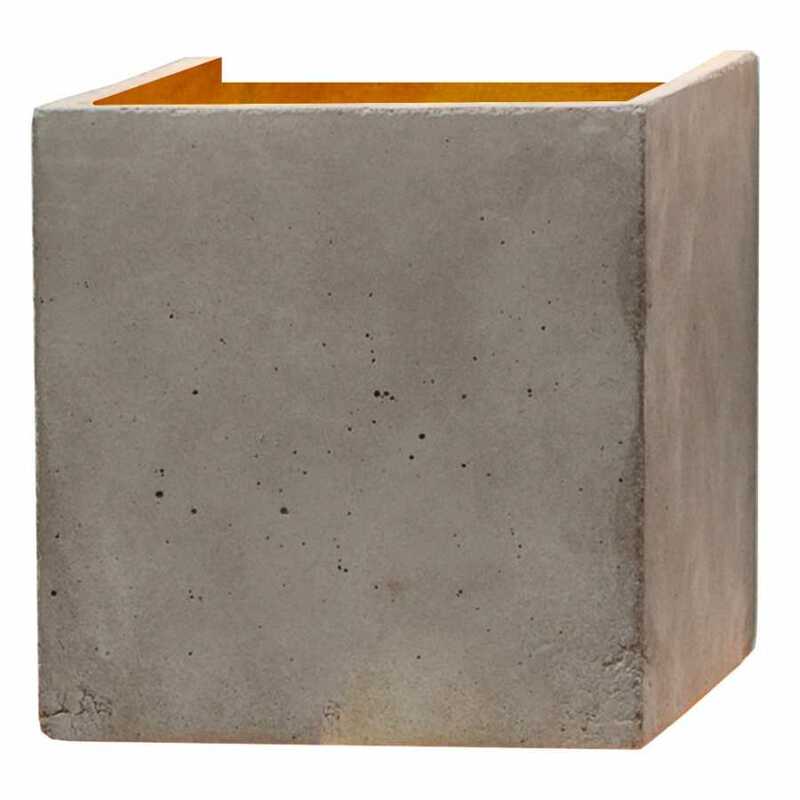 It can enjoyed with a dark or light pigmented cement outer shell and the interior has been gilded in either silver, gold or copper, allowing for a truly elegant piece which stands out and adds real style to your space. Affixed to the wall it has an industrial feel which is also minimalist and easy to coordinate with many interior styles. 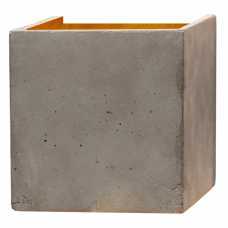 Like all concrete it features individual elements that make it 100% unique and so each customer receives a product unlike any other.